Love the way you've done your title. Don't the seals look so cumbersome on land. Great photos. I love the seal basking on the beach. Perfect embellishments for the page. 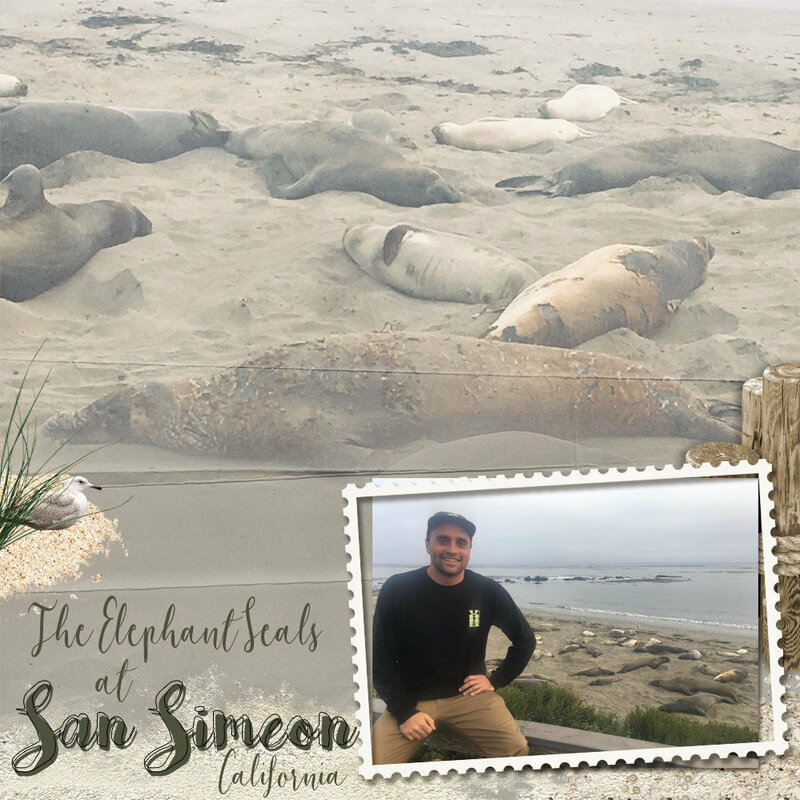 Look at all those seals, I’ve seen a bunch at LaJolla, California but not San Simeon or Elephant ones! I like how you framed your photo and used the seals as a blended background. Fascinating photos of those elephant seals! I love your title work here. What a view! I can't imagine seeing the seals like this. Love the way you framed your photo and the embellishments are great!